HomeCinemaMasalaAankhen 2: Sushant Singh Rajput and Kartik Aaryan come together for a sequel to the Amitabh Bachchan starrer Aankhen? Followed by the grand launch of Aankhen 2 that was held a year ago which presented the team of the film, the said movie faced many setbacks. While it was initially launched with much fanfare, the film however didn’t take off at all. 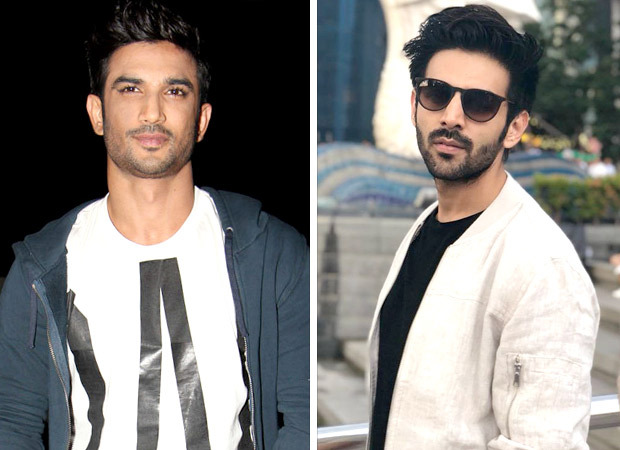 With legal action being taken Gaurang Doshi by RajTaru Studios for owning the rights, the latter has won the case and will be taking ahead the heist franchise with a new cast of Sushant Singh Rajput and Kartik Aaryan. If reports are to be believed, Sushant Singh Rajput and Kartik Aaryan will now be headlining the cast along with Amitabh Bachchan who has been retained from the prequel. On the other hand, when Aankhen 2 was announced a year ago with Gaurang Doshi as the producer, the latter had announced Anil Kapoor, Arshad Warsi, South actress Regin Cassandra along with Amitabh Bachchan and Arjun Rampal [from the prequel] as a part of the cast. However, while that film failed to take off, we hear prep for the RajTaru production Aankhen 2 has already kicked off. Recent reports suggest that Sushant Singh Rajput and Kartik Aaryan are currently in talks with the makers for Aankhen 2. Although they are yet to sign on the dotted lines, it seems that the discussion is in its final stages. As for the rest of the cast, details of the same are yet to be locked. The earlier announcement of Aankhen 2 had led to a legal battle that ensued between the two producers RajTaru and Gaurang Doshi. The former had moved the court alleging that Gaurang’s claims of owning the rights to Aankhen were false. After hearings and arguments, RajTaru emerged victorious in March. On the other hand, when Aankhen 2 was announced by Gaurang Doshi, it featured Anees Bazmee as the director. It is yet to be seen which filmmaker will be directing this newly announced sequel. Does a Longer School Day Mean Higher Achievement? Jessica Simpson’S Hair Extensions: Bigger Is Not Better!